Business people all over the world express their good wishes at Christmas and the New Year. 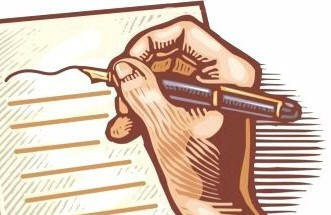 The purpose of a goodwill letter is to encourage friendliness between the business firm and its customers. In Great Britain most firms limit themselves to a goodwill sentence or two (for example, "With the Compliments of the Season"), but in the United States they send out specific goodwill letters, taking advantage not only of the Yuletide Season but also of any other date they consider important. In the Navajo Indian language this stands for "Paths Crossing". It was a lucky day for us a year ago when our paths crossed and we opened an account with you. This is the "Crossed Arrows". It means "Friendship". We want you to know how highly your friendship is valued by us. This Navajo symbol represents "Days, and Nights". It stands for "Time". What better time than on the first anniversary of the opening of your account to tell you what a real pleasure it has been to serve you.